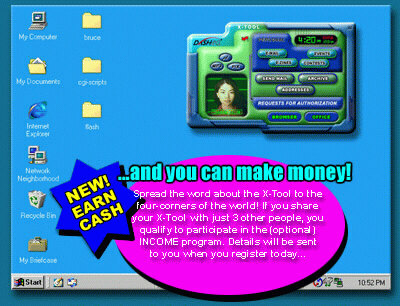 With the X-TOOL you have the ability to download and listen to music online. Using advanced MP3 technology, you get crystal clear, CD-quality and fidelity. What's more, you can archive, index, and exchange music files with other users! With advanced music search functions and audio programmability, the integral companion Media Player.